So many features you might not have known about. When using Word you do not want distractions, and the ribbon can be one that we can make disappear. To toggle the view press Ctrl and F1 together. You can tweak this by selecting Ribbon Display Option > Auto-hide Ribbon. If you would like it set it read mode simple select from the Ribbon menu, View > Read Mode. From the Ribbon menu click on View > Outline. You can reorganize a report fast with the use of outline view. There is a special toolbar that comes up for demoting or promoting selected text. Being able to write equations has always been in Word and was called “Equation Editor”, now known as “Equation”. This tool is more advanced now in the latest version. To get to it select Insert > Equation. Older documents can be converted to the new format and the equation editor used without a problem. Easiest way to accomplish this is select Insert > Object. Choose Microsoft Graph Chart from the list that popped up. Easy as that! The place copied text is saved temporarily is known as the Clipboard. As you know already, you can only copy text one piece at a time before being replaced by the next selection you copy. In Microsoft Word however, this is not the case. Select the tiny dropdown arrow that is next to Clipboard on the Home tab, or press Ctrl and C twice for the shortcut to open your Clipboard Panel. This panel shows you up to 24 items previously copied. You can move these anywhere within your document. This works across all documents for Office. When sharing documents it is wise to have any personal information removed that may be hidden. Users that are malicious might use it against you. Select File > Info > Check for Issues. Now select Inspect Document. After you choose what to look for hit OK. You are then shown what items were found and can select Remove All to remove the information from the document. Now you can share your document freely. Hopefully, using these features make using Word more productive and easier for use. Intel has always been the creators of some of the best technology out there that you can find on the market. With some of the fastest parts that are placed in other computers, you should feel confident about purchasing an Ultrabook to bring home and use to your advantage. Not only does it provide fast speeds but it is sleek and professional looking. So before you consider Intel off the list for the laptop you’re after, remind yourself that these are the makers of the i3, i5 and i7. Control your entire notebook with gesture, voice or touch controls. This means that anyone is able to go on their notebook, open it up and use it like they would with a normal laptop or they can choose to control it through other means. This makes their technology stand out a bit more than the competitors in the field. One of the biggest developments is because this is going to be a notebook that those who are not able to touch the screen can still surf the web, talk with friends and do all of the things that technology is enabling us to do without having to have the capabilities of touching the screen or clicking a mouse. Intel is a leader in the computer technology industry and they will continue to be a leader as long as they are in the market. With innovative new approaches that allow so many more people to use technology how it was meant to be used. With so many good things that you’re able to do with just one laptop, you will find that choosing the right laptop is the only thing that can be done if you want to do everything in a high quality standard. With many different Intel computers to choose from though, all that have high processing speeds, rugged looks and ease of use with them, you’re able to choose one that fits the needs you have. Many businesses use these laptops since they are some of the best in the market. While they are a bit more expensive than some of the others out there, you’re paying for what you get when it comes to it. If you’re searching for a new computer, speak with us here at IQ Computer where we can provide new computers with Intel processors for you. Dell computers provide many different things, including high quality specs. Dell computers were some of the first ones on the market when it came to affordability and features that really stand out. Not only did this business start easily, but it quickly took flight to be one of the biggest names throughout the computer industry. Almost everyone has owned a Dell computer at least once in their lifetime. 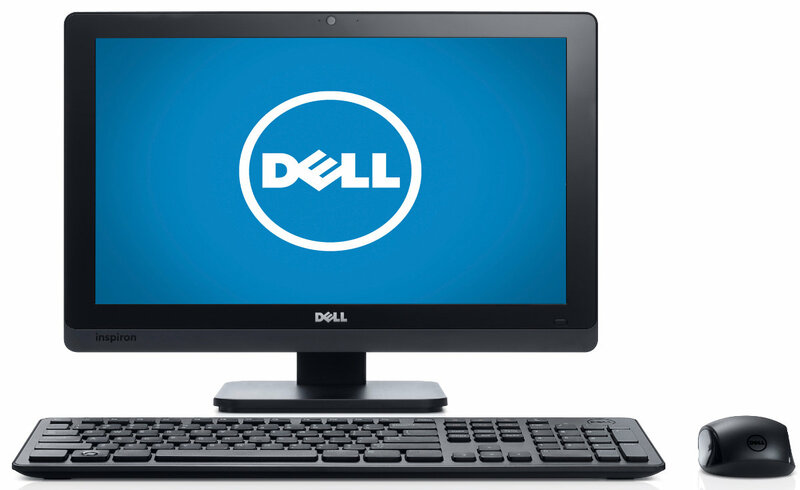 Dell computers come with many different features that stand out, and some of these are why people choose to purchase a Dell computer over all others. They have outstanding battery life when used without a charger. You’re able to get hours upon hours with them. If you have to leave the office and run errands and meet clients, use the computer as you go without worrying about battery life. They provide many touchscreen options, which many other computer manufacturers do not provide with their computers. If you’re considering touchscreen, Dell recommends their line with faster processing times and upgrading memory space. Gamer Magazine did a review of the computers and stated that they had much faster processing times, along with greater graphics so you can play all of the games whenever you’d like. You do not have to worry about not being able to keep up with the guild, you can be the leader of it with the ideal graphics card. The look and outside casing of the Dell computers are one of the biggest reasons why people choose to go with them. In addition to being some of the coolest out there, you can personalize your Dell in any color or pattern that you’d like when you purchase it. This makes your computer, your own. The smooth, sleek and easy to use design of the computers allow you to quickly and efficiently do everything you need to do on them without a problem. There is no need to worry about learning the basic commands, because the computers can walk you through them. They are compatible with almost every game, program or software that is needed. You can ensure that you have exactly what you need from the computer since the makers ensured that you’re covered. Many of the software requirements are already installed to allow you to get what is needed from them. Dell has a spot where you’re able to make the computer that you want by choosing specific specs. This allows you to also control the price of the computer when you would like to get more or less out of it. This is one of the most popular ways for gamers to get the ideal computer. Whether you want to purchase a new, used or refurbished Dell laptop is up to you but the critics all state that you will not be disappointed when it comes to owning one. You can feel confident and comfortable knowing that you have a top of the line, affordable and easy to use computer. Should I Buy A Refurbished Laptop? Buying a new laptop can be a daunting task. All the options to consider are potentially overwhelming. One point to consider is buying a refurbished laptop. The term refurbished does not imply the same thing as the term used. A refurbished laptop has passed functionality tests conducted by the manufacturer or vendor. I recommend considering this option because on average you cannot beat the two to three hundred dollars you will save compared to the original price. This will allow you to get some of the better features while still staying within your budget. Some features to keep in mind would be hard drive size, web cam, memory, software and what operating system is it running. Be careful when purchasing a refurbished computer. Do your own inspection on the system. The laptop may look brand new or could possibly have some minor bumps or scratches that do not affect functionality. You want to make sure the cosmetics are acceptable to you. The most important thing to remember when shopping for a refurbished laptop is the warranty. Find out how long the warranty lasts and what exactly it covers. Make sure to create a list of features you must have in your computer and be sure the ones you are looking at meet this standard. Always verify that it is in working condition from powering it on to the wireless connectivity. Another problem would be where to find your refurbished laptop. Look to the manufacturers, authorized refurbishers and other stores for the best prices, warranty, return policies and ability for hands on inspection. While Craigslist and eBay have enticing prices, these items often tend to be used and instead of refurbished. Understanding these few tips can ensure you come out on top when buying a refurbished laptop.